Therapy Road Connects People with Therapists. Find someone who can help, based on your age, needs and insurance coverage. How will you be covering the cost of your visit? You’ll be taken to your personalized results in just a moment. Please call 911 or visit your nearest hospital or clinic for emergencies. We couldn't find any therapists that match your search. Try being less specific with your search criteria or choose a similar issue. We ask the right questions first to help you find a local therapist who can help. Search for, browse, and contact therapists from any computer, tablet or mobile device. 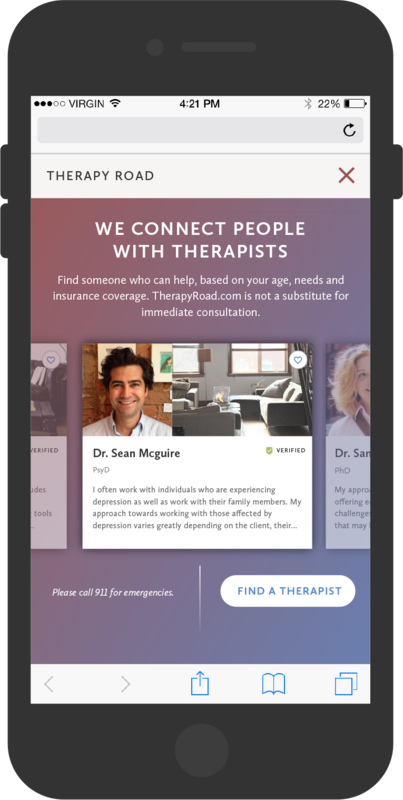 Send messages to therapists directly through the site. Your message and contact information is completely confidential and never saved to our site. No user account required to search or message. Create an impression for your practice. Listing your practice on Therapy Road is simple. 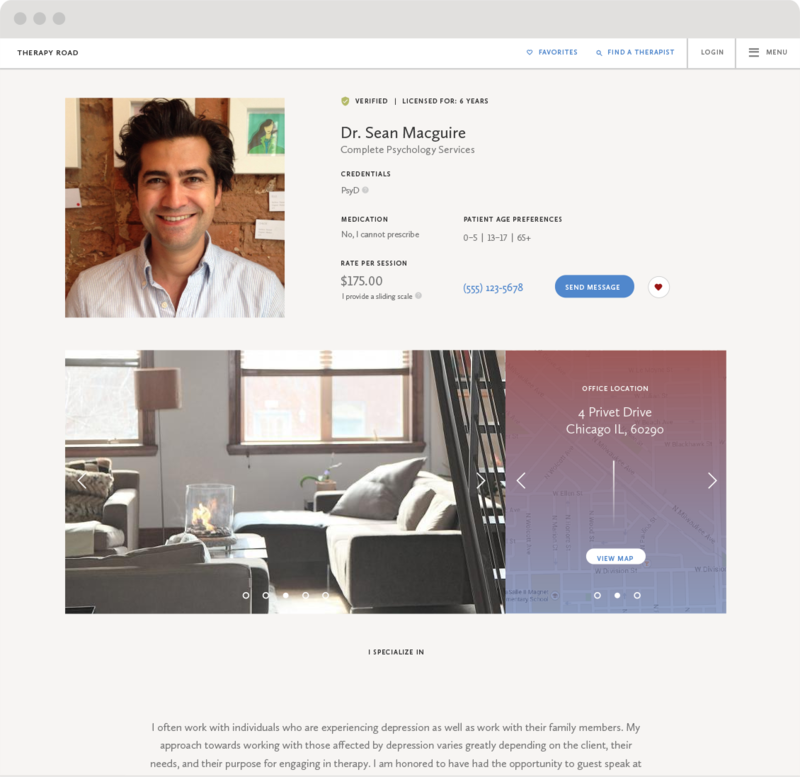 Create a therapist profile that says more about you. Upload multiple photos, add multiple office addresses, elaborate on your areas of focus, and get specific about your insurance offerings. Use analytics reports to visualize the user activity on your profile. We'll also email a traffic summary to you every month.